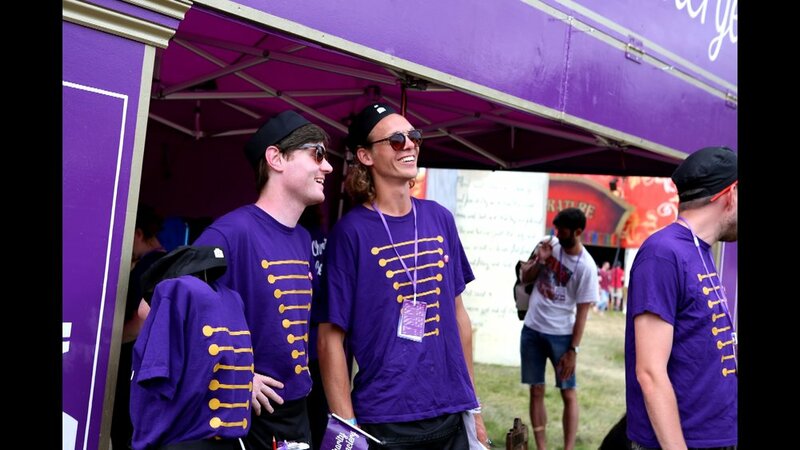 Why is volunteering as a concierge at Download so great? Because you work in teams with your mates and camp together with hot showers. Because you get almost the whole festival off to enjoy yourself. Because even when you are on shift, you get to drive a golf buggy and make people happy by relieving their tired legs. Because you help raise thousands, and feel like you're making a real contribution to a great cause. Concierges will work on our Festival Taxi service at Download. The best concierges are friendly, helpful and enthusiastic. They work hard as well as play hard and are willing to approach people to offer the service, and chat to them about the wonderful work that Child.org does. Spend your shifts chatting to customers, giving them information about the service, and roaming the campsites and car parks, telling people about the service! Drive our taxis around the site, and help to load and unload them at each of our pick up points. You'll need a driving license and to be a careful and experienced driver. At Download, all volunteers must be onsite by 12pm on Tuesday 11th June. You'll finish by 2pm on Monday 17th. You’ll have shifts on Wednesday and Monday, then another on either Friday or Sunday. Volunteers will need to be onsite at 12pm on Tuesday 11th June. You’ll have a briefing, practice some driving and have some time to explore the site before your shifts start the next morning. Your shifts will be 8 hours, with a break, and you'll have one on Wednesday & Monday, with a third shift on either Friday or Sunday. You'll be off on Thursday and Saturday, when the service won't be running. You'll be finished by 2pm on Monday 17th June. You will be required to pay a fully refundable deposit of £75 when you register. This secures us against people who want the free ticket but aren't planning to do the work. If you fail to attend all of your shifts without a good reason (e.g. sickness, with a note from the medical centre), or if you are ejected from site by security or the Charity Concierge team, you will lose this deposit and a further £140. For more information see the FAQs. We will provide you with your Concierge T-Shirt. You must be over the age of 18 on the starting date of the event. Please do not register if you will not be 18 at this time. More information about your specific shifts, what to do when you arrive onsite, the camping arrangements and what to bring with you will be released closer to the festival. If you have any questions not related to these things, you can get in touch with Holly on 07751 768207 or hello@charityconcierge.org. Follow the link below to register for Download. You will be taken to the main Child.org website, where we will take a £75 deposit and some personal information.